8th March 2018, New Delhi : 8th March is celebrated as the International Women’s Day. When the world is empowering women and treating them with equality, the case in India is a little different. Although the situation is improving with every passing year, the percentage of women in important positions in corporates and even government departments is quite low. Corruption is one of India’s biggest problems and the government has been taking several steps to control in at various levels. 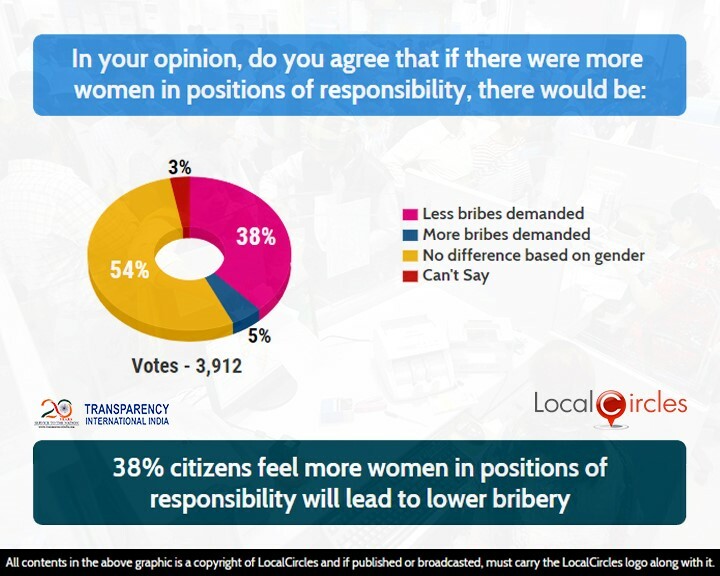 On the occasion of women’s day, LocalCircles in collaboration with Transparency International India conducted a 2-poll survey to ascertain if putting women in positions of responsibility could reduce corruption. The survey received more than 8,000 votes. 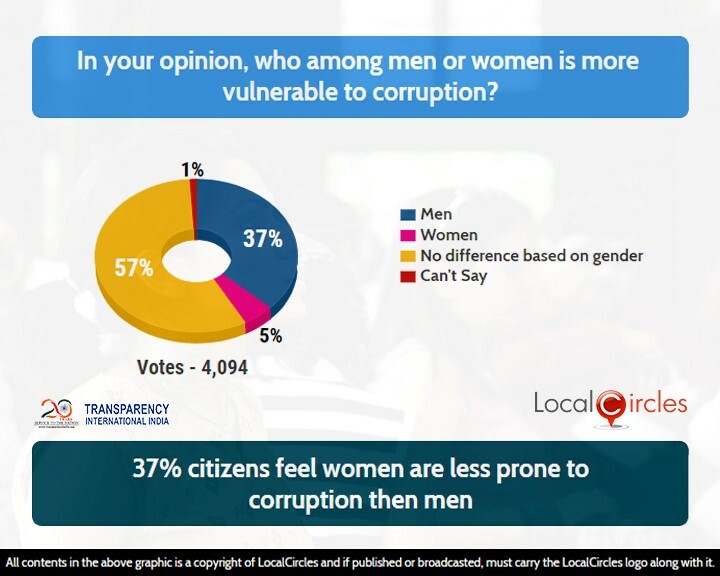 The first question asked citizens who among men or women in their opinion is more vulnerable to corruption. 37% said men and only 5% said women. 57% said there was no difference based on gender and 1% were unsure. This means that people think twice before asking women for bribes but do not hesitate in asking men for bribes to do some work or move a file. Second question asked what would happen if there were more women in positions of responsibility. 38% said there will be less bribes demanded, 5% said more demands will be branded, 54% said there was no difference based on gender and 3% were not sure about the answer. It seems just obvious that women are given more power and important positions in the corporate ladder as well as the government machinery so that the rate of corruption in the country could be drastically reduced. Indian women have shown their mettle in various field and it is high time that women power is used to control bribery in India.